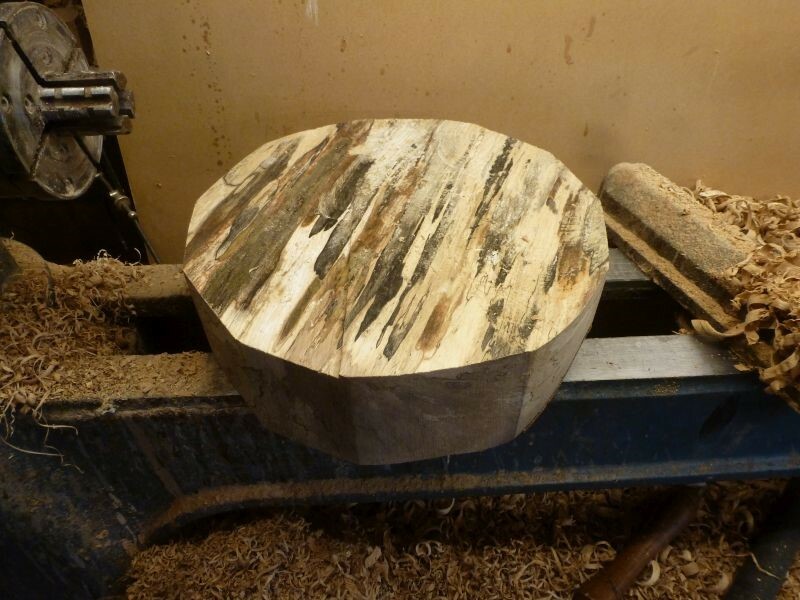 Image 1: 300mm spalted bowl blank. Now decide which will be the inside of the bowl & drill a hole in the centre for an expanding pin chuck & mount on the lathe. 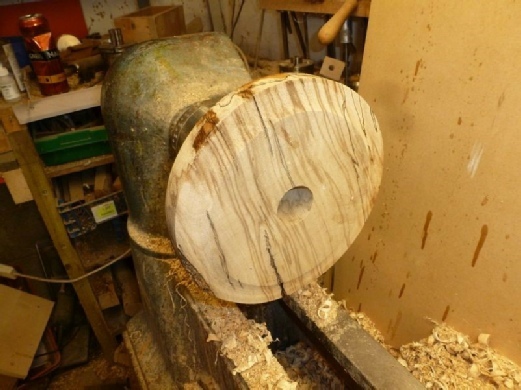 Once securely mounted on the lathe with the tail stock brought up for support, rough turn the outside to your desired shape & form a spigot to suit your chuck, as image 2 above. 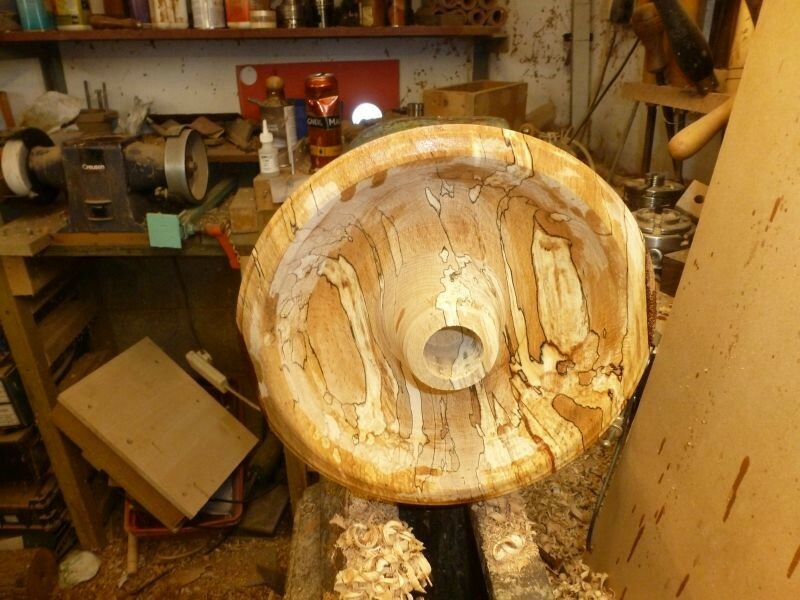 Image 3: Bowl mounted on spigot. 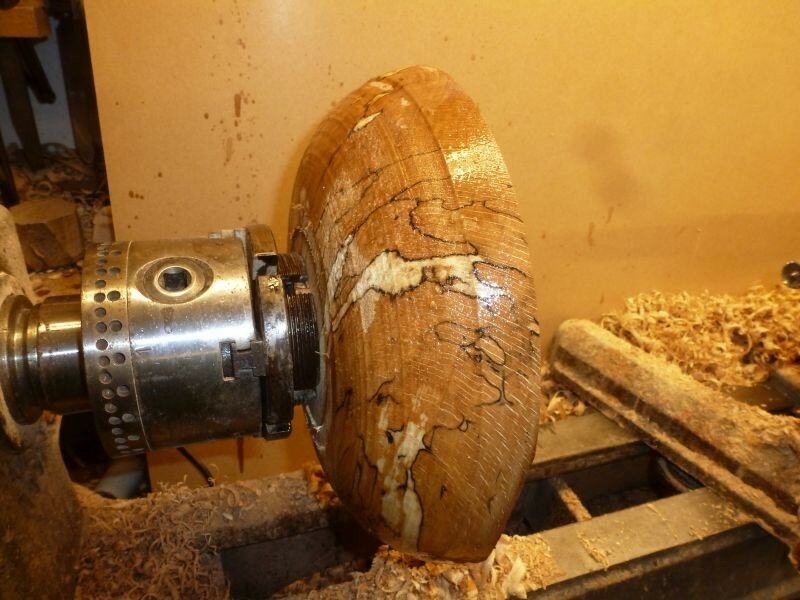 Reverse the blank on the lathe using the spigot previously formed, bring the tail stock up for support & rough turn the inside of the bowl, leaving a wall thickness of about 25mm or so as image 4. Image 4: Pin chuck mounting point. Leave the centre section in the bowl for stability as shown in image 4, this image also shows the drilled hole I used to mount the blank on my expanding pin chuck at the start, this will be used for remounting the bowl later for final turning. 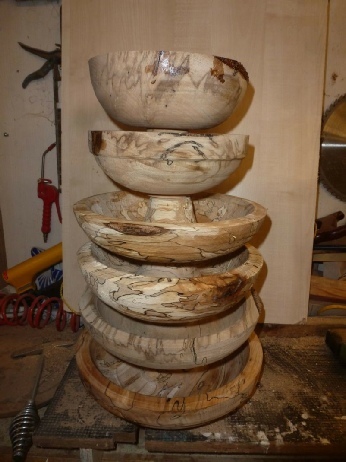 Image 5: Coating of sanding sealer. 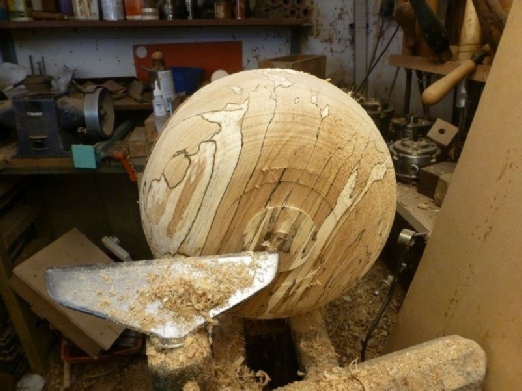 At this stage I apply a liberal coat of sanding sealer image 5, remove the bowl from the lathe, weigh it & record the weight. 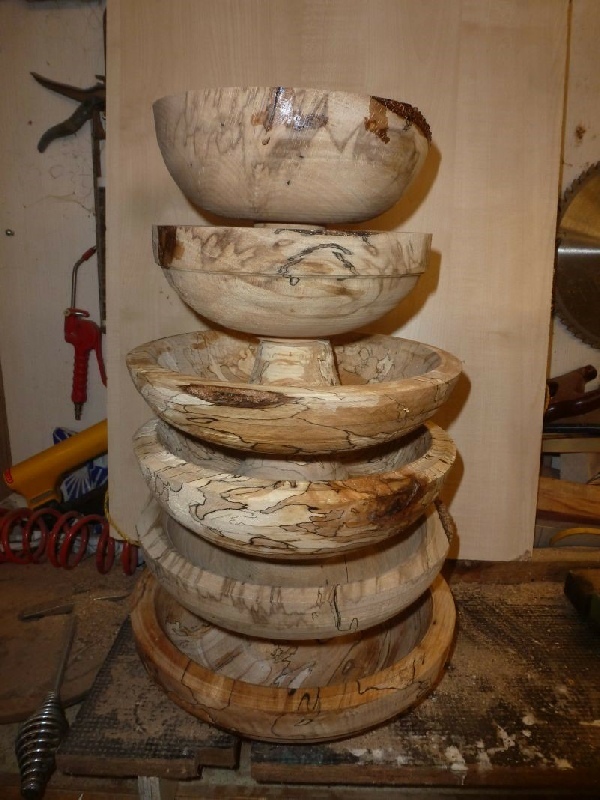 Image 6: Stack of drying rough turned bowls. I turn a number of bowls together & leave them in the workshop to dry, keep weighing each bowl until it is down to about 20% of the original weight then re-mount on the lathe, finish the turning, sand, seal & polish/oil as you prefer. I find on average; the whole process takes three to four weeks to complete.